"Za-rah," "Tha-ra," "Tsa-da"—however you pronounce it, it's an established fact that Spanish fast fashion retailer Zara is a favorite shopping spot among women all over the world. Its signage is practically a beacon to any girl looking to update her wardrobe, and we're definitely guilty of searching for it when we travel, in the hopes that prices abroad might be less expensive than back home. Lol. 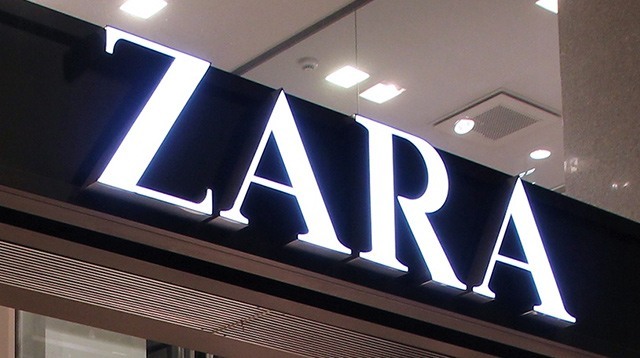 Did you know, however, that it wasn't actually called Zara when it first opened? YEP. According to MarieClaire.co.uk, business tycoon Amancio Ortega launched the label in 1975 with a very different and rather masculine moniker: Zorba, after the novel and film Zorba the Greek. Unfortunately (or fortunately), he soon learned that a bar close to the original location had the exact same name, so it was a no-go. Ever the quick-thinking businessman, he decided not to waste the letters from the signage and instead mixed them up to form a new word (he probably had a spare "A" lying around, too).